La Boca is one of the last neighborhoods I’ve explored in Buenos Aires. It’s a long walk from my studio in Recoleta through traffic and crowded streets. The subway lines don’t go there, so I had to overcome a hesitancy to take Buenos Aires buses. The packed buses are sporadic and it’s hard to find the pickup points – some marked, others not. Yesterday I hopped on bus number 29 which passes from Recoleta through the Monserrat and San Telmo neighborhoods on the way to La Boca. The first time I caught the 29 it took almost an hour of maneuvering through thick bottlenecked traffic to get across town. By the time we arrived it was late afternoon and almost dark outside. Yesterday I went early and the trip was painless and faster. 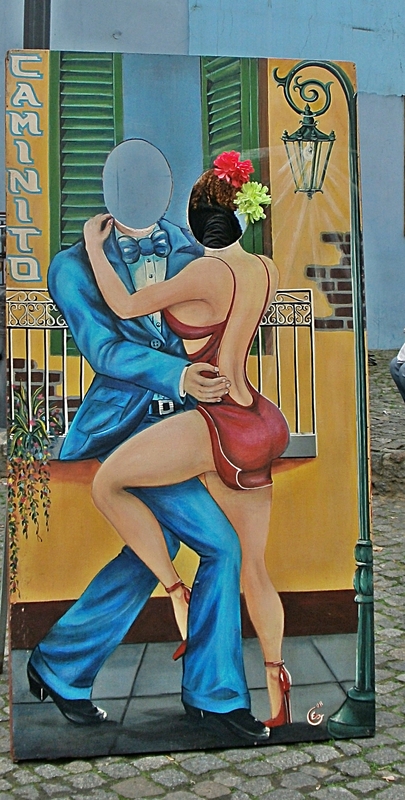 La Boca isn’t my favorite part of Buenos Aires. It’s unique and interesting but very touristy and a bit dangerous. It’s a poor area rich in history and creativity. The 29 bus had a strong vibe. Some of the people were scary. Others had weathered, worn faces and tired looking eyes, maybe indicating a hectic day or a hard life. On the first bus ride to Boca I sat next to a woman holding a small child – both seemed to be fast asleep. Magically they woke up the moment the bus arrived at their stop. Yesterday I waited for the bus with a group of people including four friends who were entertaining everyone at the bus stop. They were funny and even with malo Español I caught a few of their jokes. Everyone was laughing at their antics. It’s a holiday weekend in Argentina. May 25 is Argentina’s Independence Day. Major plazas are blocked off for festivals and streets are teeming with political diversions and fast-moving pedestrians. La Boca is on Riachuelo River, a small inlet of Rio de la Plata. 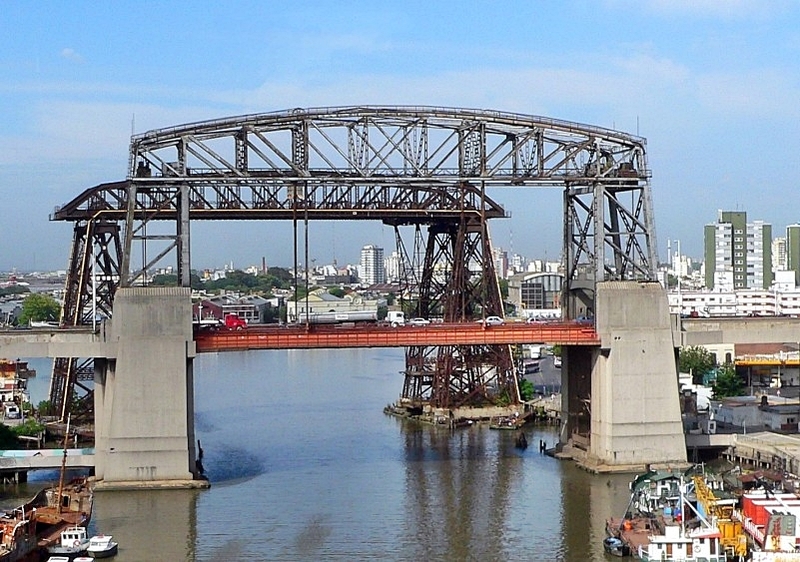 The Port of Riachuelo and a railroad, Vuelta de Rocha, are key elements of the neighborhood. 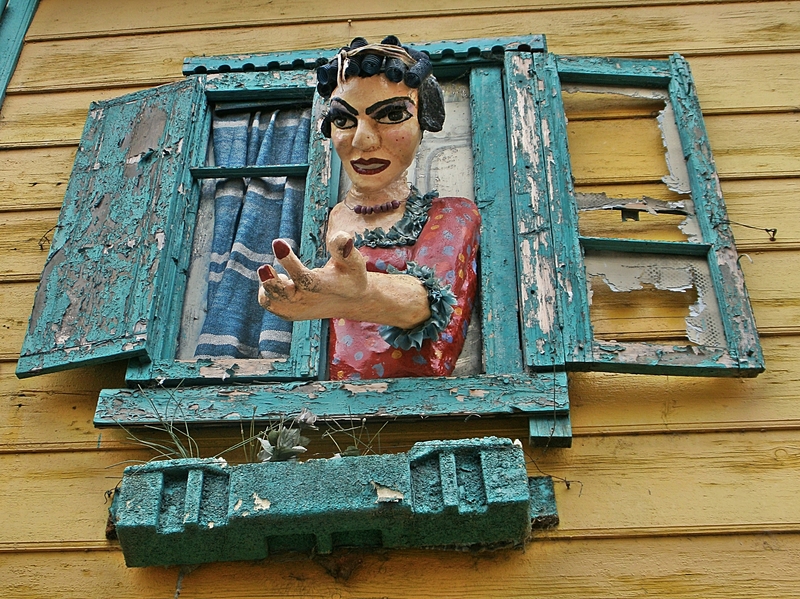 Most La Boca residents are descendants of Italian immigrants from Genova. They speak with a Genoese or Xeneize dialect. 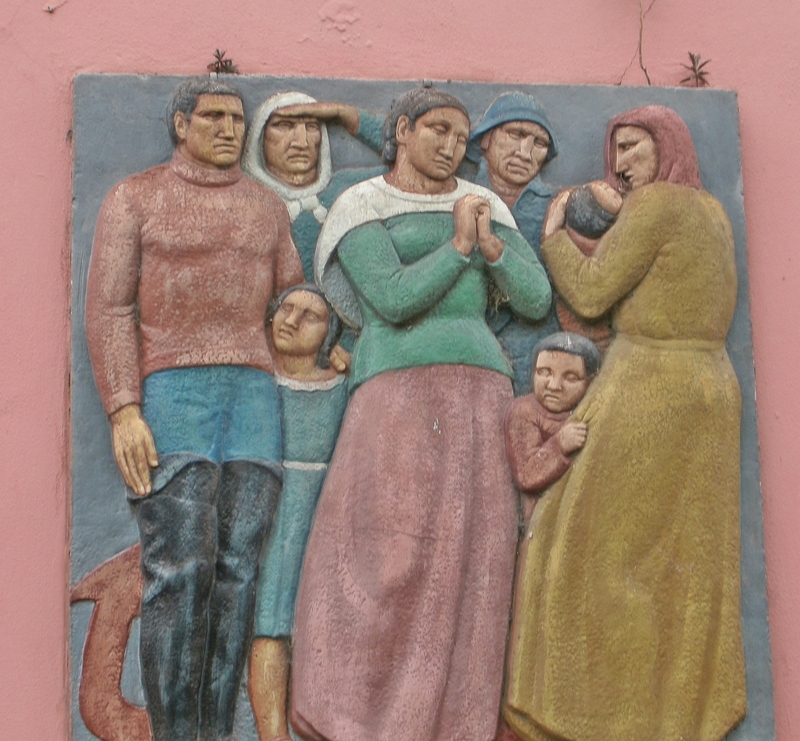 Genoese immigrants settled in La Boca in the early 1900s. They built their houses on high sidewalks to protect them from river flooding. Many of the buildings have wrought iron balconies and the people painted their homes in bright, spectacular colors using leftover paint from the dockyard. 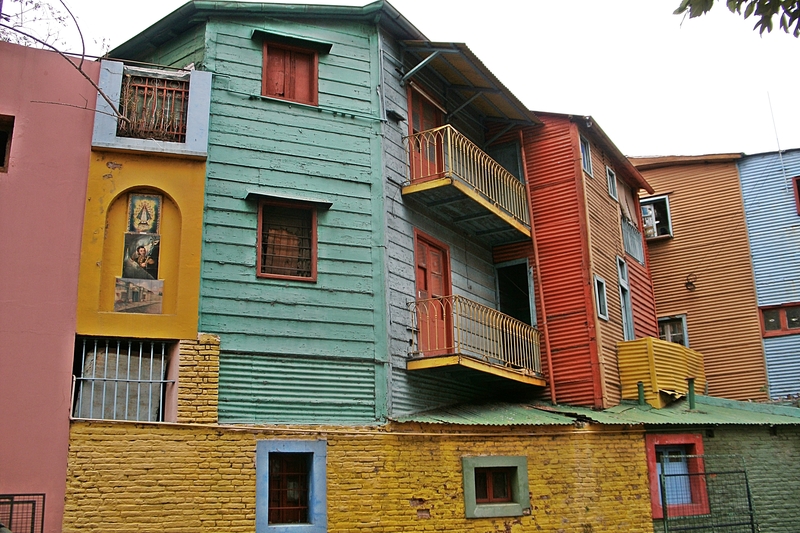 La Boca is a popular area for local artists. One of the most visited and photographed tourist spots is Caminito, a street with colorful murals and graffiti where artists display their work. Caminito is famous for markets selling art, souvenirs, and other local merchandise. Leather goods at La Boca markets are cheaper than anywhere else in Buenos Aires. 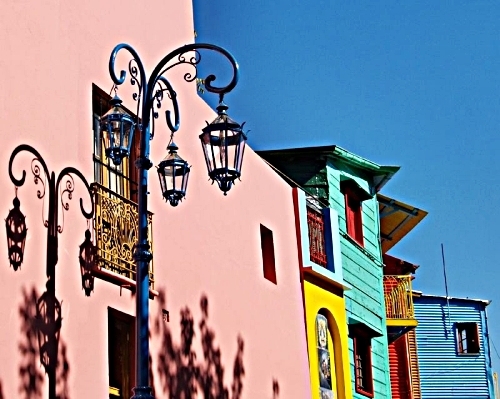 Along the river boardwalk are the Foundación Proa, a modern exhibition center, and the Fine Arts Museum of La Boca. Foundación Proa hosts six contemporary art shows a year featuring works from Argentina and abroad. They also conduct art workshops, courses, conferences, and concerts. 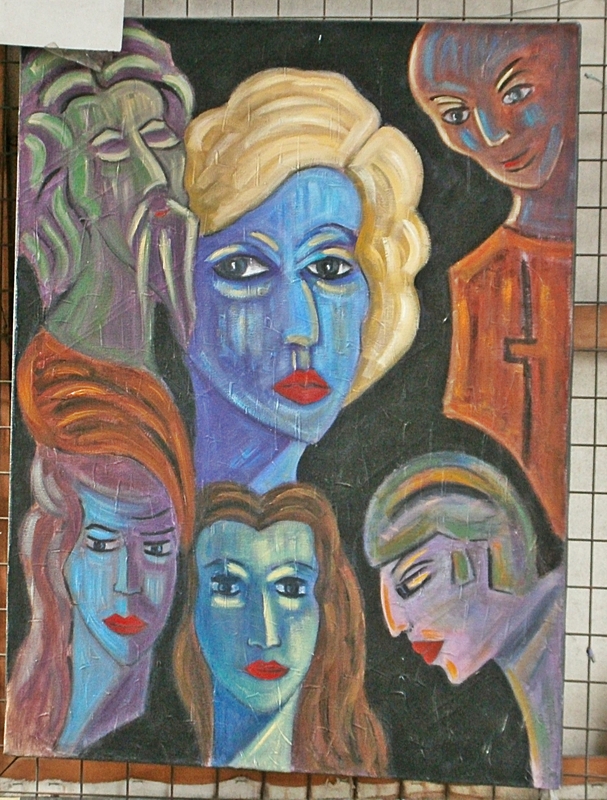 The Fine Arts Museum displays the work of beloved artist Benito Quinquela Martí, considered a “son of La Boca neighborhood”. In 1890, nuns found infant Benito opposite the door of the House of Abandoned Children, an orphanage. He lived at the orphanage until a family adopted him. As an artist Martí worked on Theater La Ribera and Bridge Nicolás Avellaneda, named after Nicolás Avellaneda president of Argentina 1874-1880. 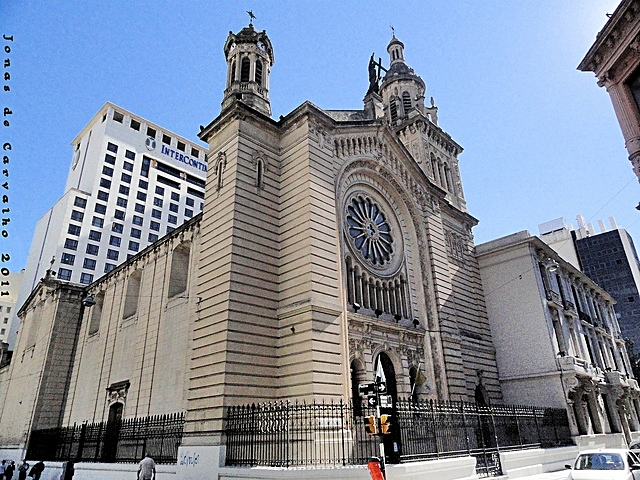 Churches in La Boca include beautiful San Juan El Evangelista and the Sanctuary Nuestra Señora Madre de los Emigrants which pays tribute to immigrants who arrived in Argentina from different countries. 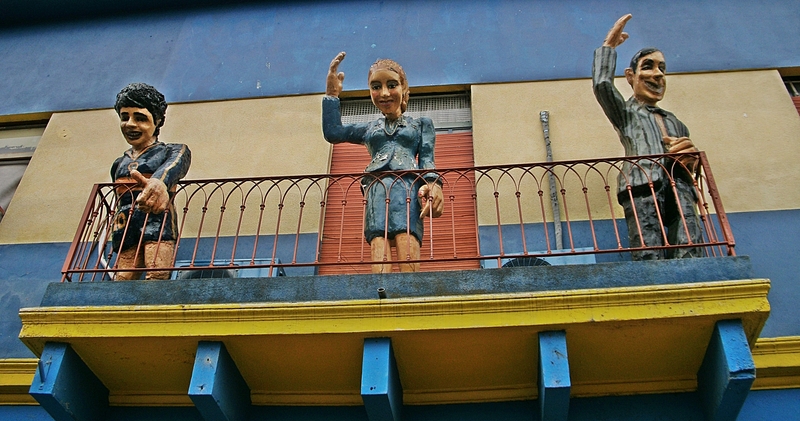 You see statues and caricatures of Pope Francis and Cardinal Jorge Mario Bergoglio throughout La Boca. 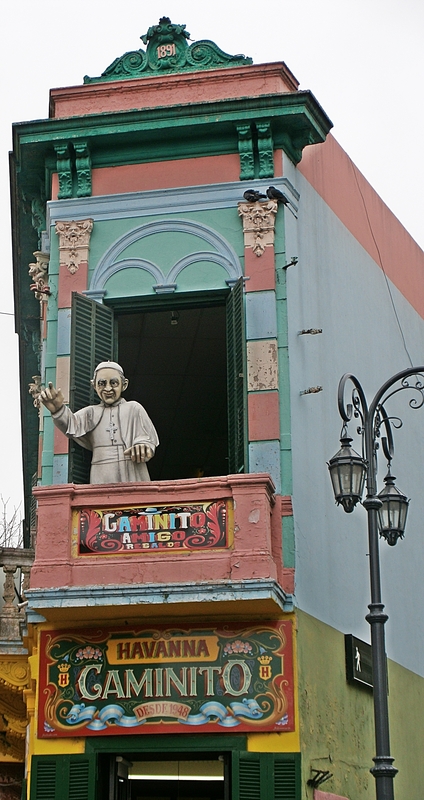 The people of Buenos Aires are very proud of their Cardinal who became Pope. 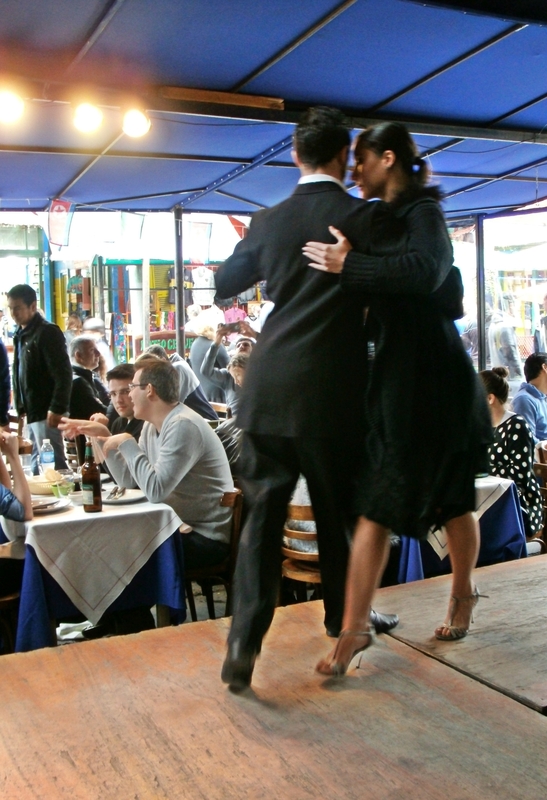 La Boca has abundant tango studios and Italian taverns. Dancers often perform in cafés and on the street. The restaurant where I stopped for lunch had fantastic live tango and flamenco dancers. After their performances the dancers circulated throughout the restaurant to talk with people and collect tips. Soccer is a major force in La Boca. Soccer highlights are the popular Club Boca Juniors soccer team and La Bombonera (chocolate box) stadium. Boca Juniors is regarded as the club of Argentina’s working class. Many famous soccer players, including Juan Román Riquelme and Carlos Tévez, came from Boca Juniors. La Bombonera stadium holds 50,000 spectators and is also used for concerts. 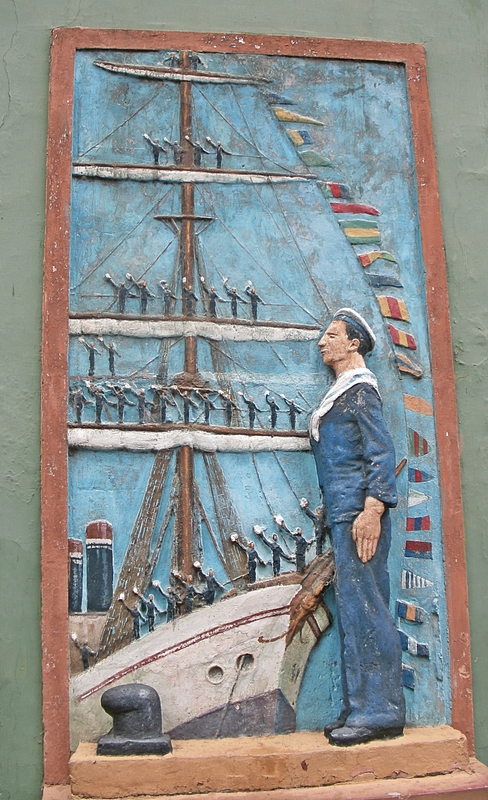 The Museo de la Pasion Boquense monument idolizes the famed La Boca soccer team. It was an interesting day and I learned many new things about exciting Buenos Aires! This entry was posted in Argentina, South America and tagged Benito Quinqueta Marti, Bombonera, Caminito, Cardinal Jorge Mario Bergoglio, Club Boca Juniors, Foundacion Proa, La Boca, Monserrat, Museo de la Pasion Boquense, Nicolás Avellaneda, Nicolás Avellaneda Bridge, Port Of Riachuelo, Riachuelo, Riachuelo River, Rio de la Plata, San Telmo, Vuelta de Rocha, Xeneize by suemtravels. Bookmark the permalink. Sounds wonderful and colorful in all aspects.